When Colorado’s Amendment 64 passed, my son, Johnny, celebrated with his friends. They wrote 4/20 all over their bodies and clothes. He was only 12 then, and now he’s 16. I was familiar with the problems with smoking marijuana and educated my son about it. However, I was not prepared to deal with a near-death experience due to him smoking marijuana. My husband and I were not aware that Johnny started smoking marijuana and eating THC-laced edibles when he was in 8th grade. He made his first suicide attempt in January 2014 over a break-up with a girl. My husband and I thought he was just broken-hearted, but he started spiraling down a dark path of mental illness. I observed irrational behaviors, not being motivated to work, not wanting to go to school or activities. Johnny was angry often, and he was verbally abusive. During the last week of February of 2015, Johnny’s behaviors grew worse. It was his freshman year. He was extremely emotional, irrational, not showing up for baseball practice, and skipping school. He was angry a lot, and physically lashing out towards me and my younger son. He started disrespecting the police. Nothing my husband and I did could calm him down or reassure him that everything was ok.
We found later that he was hanging out with gang members. We also found out he was withdrawing from marijuana. He decided to kill himself and took massive amounts of ibuprofen. Thank god he threw up in his sleep that night. The next day we realized what he had done and sought help. He was hospitalized for five days in an adolescent psychiatric unit. I never had a chance to speak to a doctor that night. The psych tech discharged us and told us to return if needed. A few days later I took my son back to the same emergency medical center because he started to say he was going to kill himself. Johnny was hospitalized for another five days in the different adolescent psychiatric unit, where he received sub-standard care. Under the advice of a friend, I volunteered my family for crisis intervention with the Colorado Department of Social Services. We had a therapist working with the whole family inside the home. At first, my son seemed to be doing better and we were all hopeful that he would improve, but soon we started seeing the same irrational behaviors. It progressed until one weekend, when he became very violent. He was restless and couldn’t stay in one place, unable to sleep or eat. Johnny admitted to us that weekend that he was still smoking marijuana. Worse, he had found out it was laced with meth. He was so out of control we had the police take him to the emergency room, where he did test positive for meth. We were unable to receive any help that day from the medical community or Social Services. The hospital discharged him and didn’t even have the police ticket him. Johnny became worse after that. He was violent and irrational and he started running away everyday for the next few weeks. He got into fights and was not attending school. We placed him in a residential treatment program in Denver, and he was sober for three months, but he was being treated with antidepressants that made him sleep through the day. Johnny refused to attend the classes there, and ran away when he came home on a pass. When Johnny was discharged, the problems started up again. He threatened suicide and talked to himself about killing the rest of the family as well. He continued to run away. He went through a five-day period of vomiting six or seven times a day. No place we took him, including sessions with therapists and help at home, was able to help for more than a few days. Eventually, Johnny refused all treatment with the therapists. On top of all this, Johnny was bullied and threatened by local kids who had been friends. One of them shot another teen outside our house, and we all received threats of violence. The courts and the schools were of very little help during this time, because all of the kids are juveniles. All of this went on for another six months, and our entire family needed treatment for PTSD. My husband and I are hard-working people who have volunteered in our schools and with the Boy Scouts of America, but we had to admit that our parenting skills aren’t up to what our son needs. We finally started looking for a residential treatment center in another state. My son’s current professional team agreed and told us our hometown is his trigger for relapse. Marijuana is also readily available to teens, the schools don’t seem to be providing any real education about its bad effects, and even the treatment centers act like pot’s not a problem. Johnny said he was willing to try it and chose one of of the many inpatient programs I researched. It seemed we would be able to get him in, but then they said they would need a total of $36,000, in three installments, in order to admit him. In their professional opinion, my son will require a long treatment stay, maybe up to a year. They said insurance companies wouldn’t pay for that long a treatment and would do everything they could not to pay at all. They would try to have him discharged after only 10 days of treatment. We don’t have that kind of income, and we had already borrowed as much as we could from family members. I started a Go Fund Me site. If was a very hard thing to do, because my husband and I have always paid our own way. We raised some, but not nearly enough. We had to look elsewhere, but everything that seemed a good fit was so expensive. Then I attended a conference on marijuana and mental health, where I got a referral to a consultant who helped me make contact with the Sovereign Health Residential Treatment Program in San Diego. They were willing to waive the deductibles and co-pays and take him in as soon as we could get him there. That was two months ago, and Johnny seems to be doing well. My husband and I were able to pay off the last of the ER bills, thanks to the Go Fund Me site. But we can’t afford to visit Johnny very often and we miss him terribly. Having a person in your family with substance abuse and/or mental health problems is like having someone with cancer. You go broke from all from all the medical expenses. Editor’s Note: This is the dilemma facing parents. Why? Because our children are being introduced to the morphed marijuana substance from “friends” at school, and outside of school, especially in Colorado which leads the nation in highest use of marijuana amongst its youth. 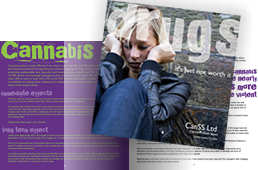 Imagine, this is the plight of more and more parents caught up in a family crisis trying to save the life of their child –all from the adverse effects of potent marijuana and its catastrophic effect on the young brain including in cases like Johnny- the gateway to other drugs. We are seeing the lives of once healthy young people be altered in insidious ways and families being decimated as they search for the means to help their child learn ‘brain health’ and avoid all drugs. Kids growing up in this “culture of pot” refuse to accept pot is a drug.